Home INTERIOR DECORATION Kids Room How To Redecorate Kids Rooms? 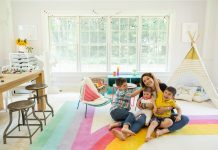 How To Redecorate Kids Rooms? 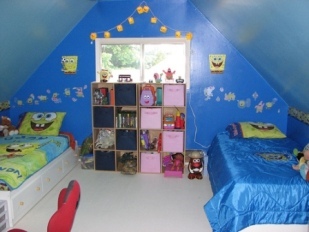 Most likely if you are looking at redecorating kids rooms; you want nice splashy colors that exemplify youth and energy. Kids rooms can actually help shape the youngster because the colors stimulate moods. Therefore, you have to give your kid an extra boost when decorating their home. Also, if you want your kid’s room to feel like a sanctuary to them, and a safe place to end their day, you have to make sure you pick designs that both you and they approve of. Redecorating your kid’s room can be a wonderful time to bond with your child and show them that their opinions are valued. You should make sure your child is always involved if you are redecorating kid’s rooms, no matter what their age. One of the most thrilling activities for a child is being told that they can pick out the color scheme. The way you keep a handle on their selections is by only bringing home color swatches for the kid’s rooms that you approve of. Greens are a nice neutral shade that can appeal in both genders of kid’s rooms, blue similarly works the same way. A very popular trend right now is to pick a neutral soft yellow hue, or an ivory for the room color and then to pick an accent color that helps distinguish and add spirit to kid’s rooms. For example, if you go with a soft yellow, you can decorate the room with hunter green blinds or window curtains, and a nice patterned bedspread. You can also go with blues and other earthy tones if the room has a nice yellow base. Not only will this give you a great deal of room to negotiate and work with your children while decorating kid’s rooms, but is much easier to change accent colors than wall colors as they grow and start to hate strong colors. 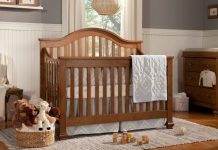 As far as the wall decorations for kid’s rooms, many parents want to choose childhood themes such as Pooh Bear or Snoopy. 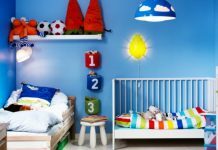 However, these themes only work for the first few years that are spent in the kid’s rooms, but a solid color without wallpaper patterns will last much longer. You might consider purchasing a framed picture if your child is interested in a character or two. Also remember that kids trends and picks only last a few months at most, so unless you always want to be redecorating kid’s rooms, try to avoid character themes, and instead develop comfortable themes.